The primary goal of the Undergraduate Medical Education Program is the educational instruction of medical students (in all four years of medical school) in basic concepts of radiology and diagnostic imaging. 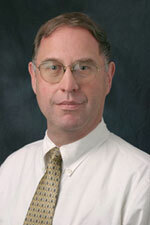 The program is led by Dr. Carl Furhman, who is one of the University of Pittsburgh’s most lauded instructors. His honors include eight “Golden Apple Teaching Awards”, presented by the American Medical Student Association, and the “President’s Distinguished Teaching Award”, the highest teaching award bestowed at the University of Pittsburgh. Within the Department of Radiology, Dr. Fuhrman has been awarded the “Teacher of the Year” award three times and the “Ronald J. Hoy Excellence in Teaching Award” five times. It is the hope of the education program staff that the graduating University of Pittsburgh medical student will understand the importance of radiology and diagnostic imaging in clinical practice and the importance of radiology consultation in providing quality health care delivery. The educational objectives are designed to provide each student with a basic understanding of the appropriateness and limitations of diagnostic imaging tests so that the student will be better prepared to choose cost-effective and appropriate examinations in their clinical practice of medicine. The educational program has a dedicated digital classroom with a state-of-the-art computer and projection system connected to iSite (formerly Stentor) for medical student activities. In addition, a medical student learning lab has computer stations, teaching films, computer assisted instruction, and audiovisual teaching tapes and lectures. There are multiple elective courses in radiology for senior medical students; these courses are popular elective and fill quickly. Two four-week courses in Advanced Radiology are offered in September, November, and February. Advanced Radiology is an intensive course, which is geared for students interested in radiology. There are also six, four-week courses in Clinical Radiology for students who wish to pursue additional experience in radiology. A Radiology Research elective and an Interventional Radiology elective are also offered. Radiology 5422 – Advanced Radiology: A four-week intensive elective course in advanced diagnostic radiology held twice a year and offered to fourth year medical students who are interested in radiology. The course includes didactic lectures and demonstrations presented by members of the radiology faculty. Students also gain clinical exposure to radiology by working with individual subspecialty divisions. In addition to a written exam, each student is required to present a comprehensive clinical case (one that the student has encountered in prior clinical rotations) with an emphasis on the radiology features pertinent to their case presentation. Goals of the course include increasing the student’s understanding of diagnostic radiology, and supplementing the student’s exposure to radiology from didactic material taught in the first three years of medical school. Radiology 5425 – Vascular/Interventional Radiology: A four week clinical elective rotation offered to fourth year medical students with an interest in interventional radiology. The medical students scrub into interventional cases with radiology staff, fellows, and residents, attend daily case review sessions, and perform clinical rounds on inpatients being followed by the interventional radiology service. Goals of the course include the student’s understanding of the basic concepts of transcatheter and other minimally-invasive diagnostic and interventional techniques, and familiarly with the basic “tools-of-the-trade” of the interventional radiologist with respect to commonly used needles, guidewires and catheters. Another goal is to improve the student’s angiographic interpretative skills. Radiology 5435 – Clinical Radiology: A four-week course in advanced diagnostic radiology is offered to fourth year medical students who wish to gain additional exposure in radiology. Students are assigned one-week rotations in four areas of clinical radiology, which can include thoracic imaging, musculoskeletal imaging, pediatric radiology, abdominal imaging, nuclear medicine, women’s imaging, and neuroradiology. Through a hands on approach, students will increase both their exposure to and understanding of diagnostic radiology. Radiology 5440 – Independent Study: This elective is available to senior medical students who have a particular interest in a subspecialty area of radiology. Students are given the opportunity to design an intensive, independent study elective with a staff radiologist in that area of specialty.